Contain, protect, and organize the networking equipment in your data center with network racks, also known as network cabinets or server racks. 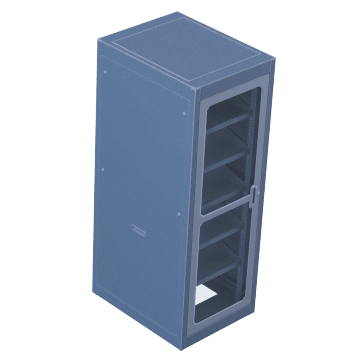 If security is not a concern, choose an open-frame rack to maintain easy access to equipment and cables and allow maximum airflow for keeping equipment cool. 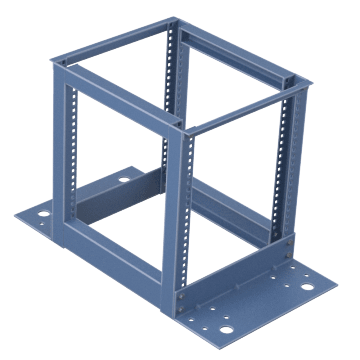 The racks have rails for mounting equipment and accessories but do not have sidewalls or a door. 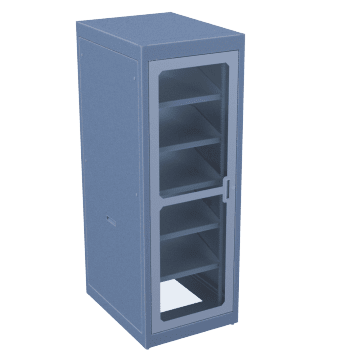 Choose a freestanding rack enclosure for applications where you may need to move the rack. Enclosures have doors and side panels for protecting and controlling access to equipment. 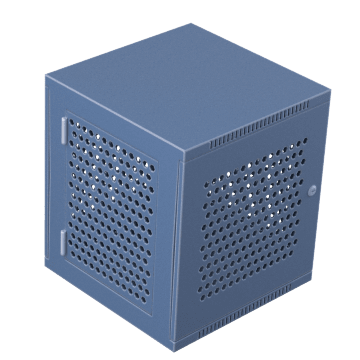 Mount these network rack enclosures to a wall to secure the rack in place and keep floors clear in your data center. Enclosures have doors and side panels for protecting and controlling access to equipment.